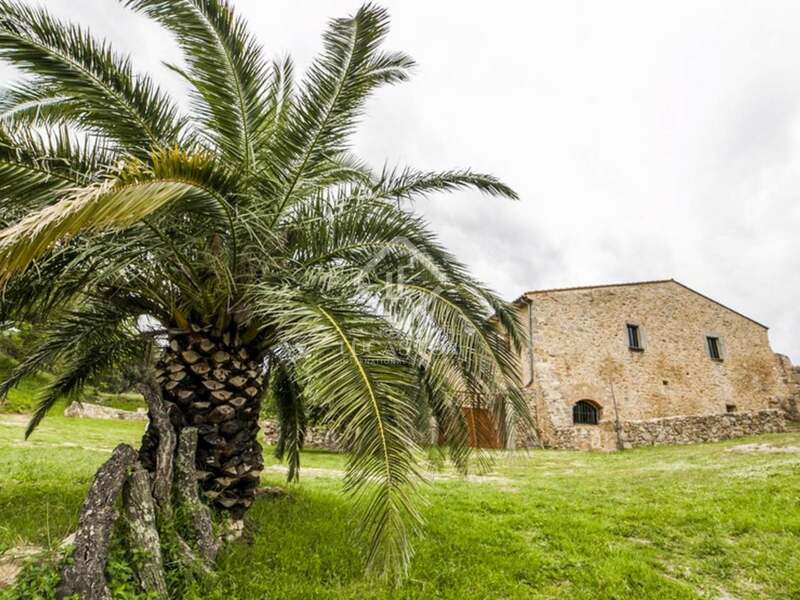 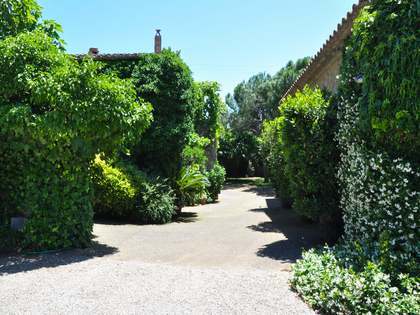 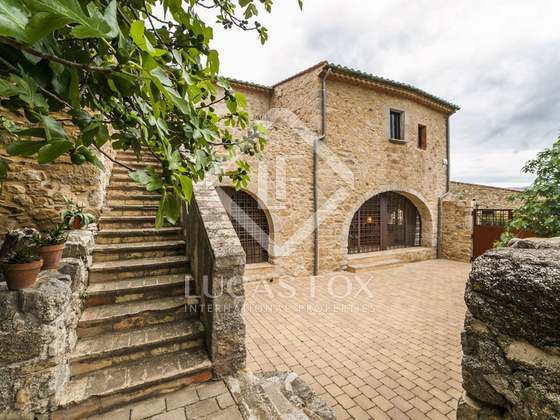 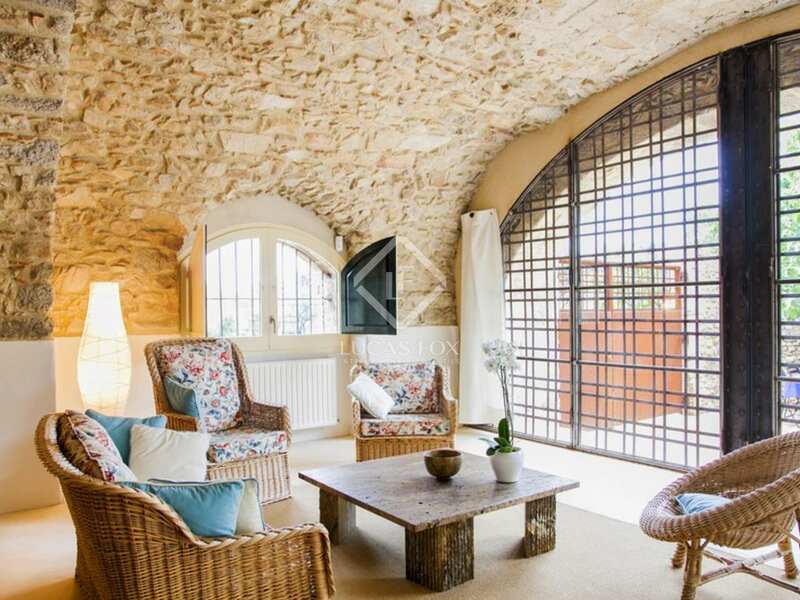 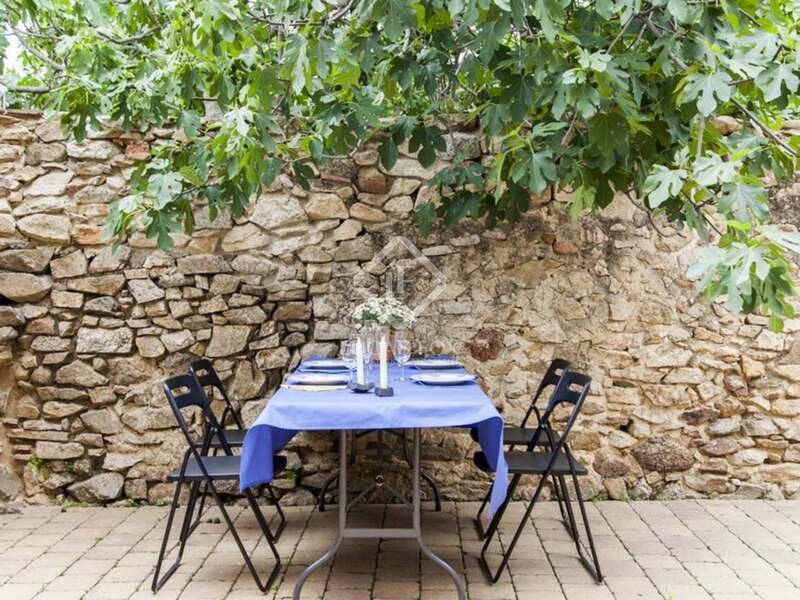 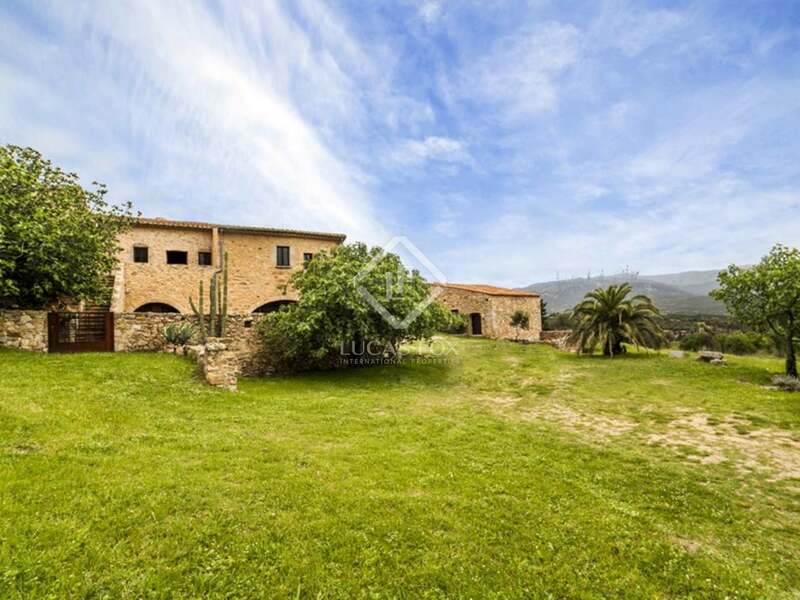 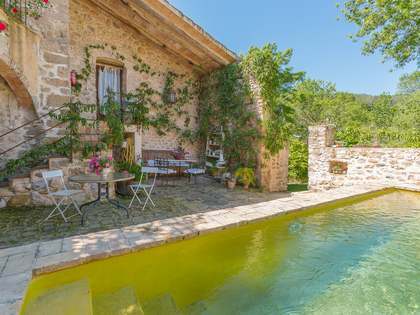 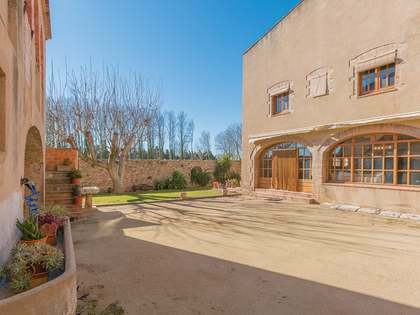 Originally dating from the 17th Century, this beautiful Alt Emporda country house to buy is located in an idyllic setting with beautiful mountain views, just 15km north of Figueres and only 14km south of the French border. 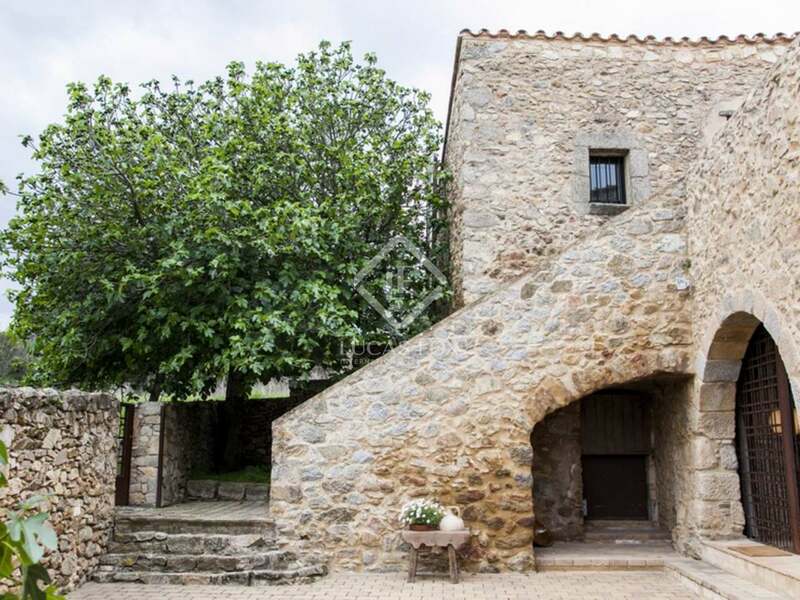 Originally renovated by the current owners in 1995, with further renovations in 2007 and 2012, the property is set in 20 hectares of private land with beautiful views to the Spanish Pyrenees and offers complete tranquility and privacy. 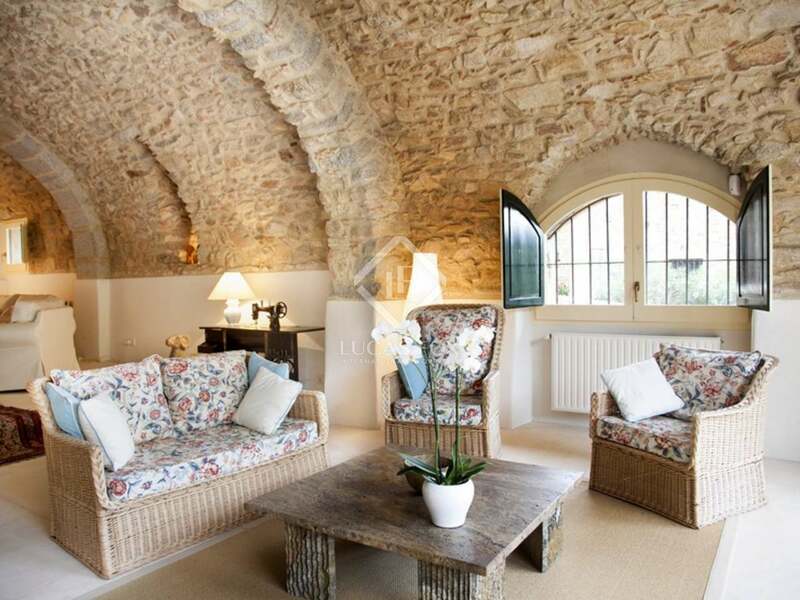 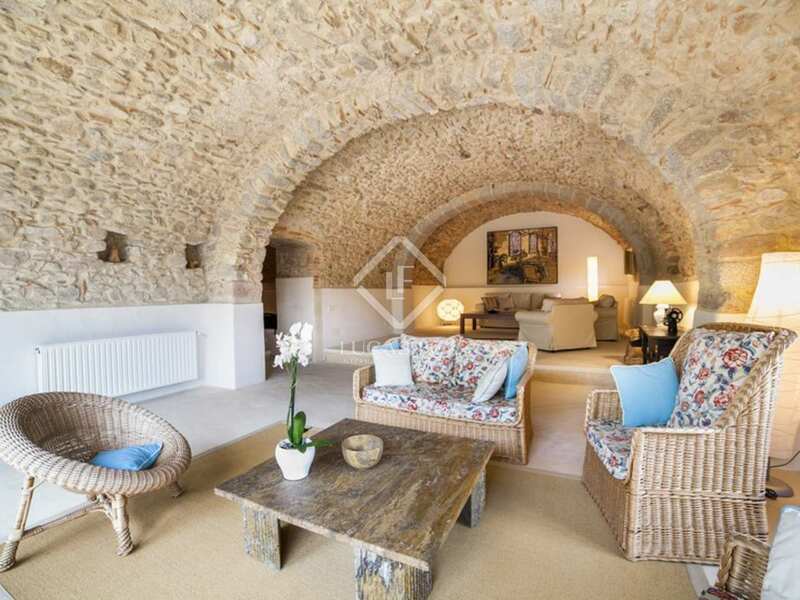 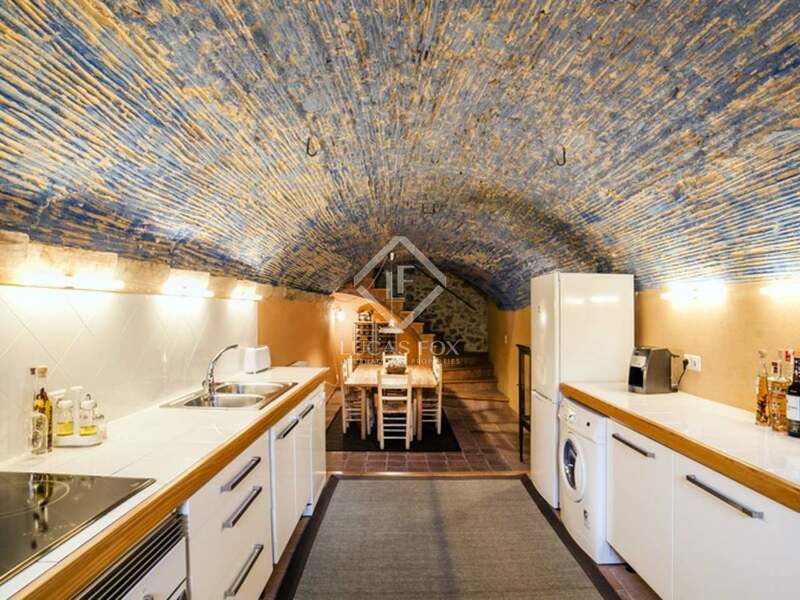 The property comprises a 4-bedroom main house, a separate annex building (currently used as garden storage but with potential to be converted into additional accomodation), a further barn, a swimming pool and a lovely walled patio. 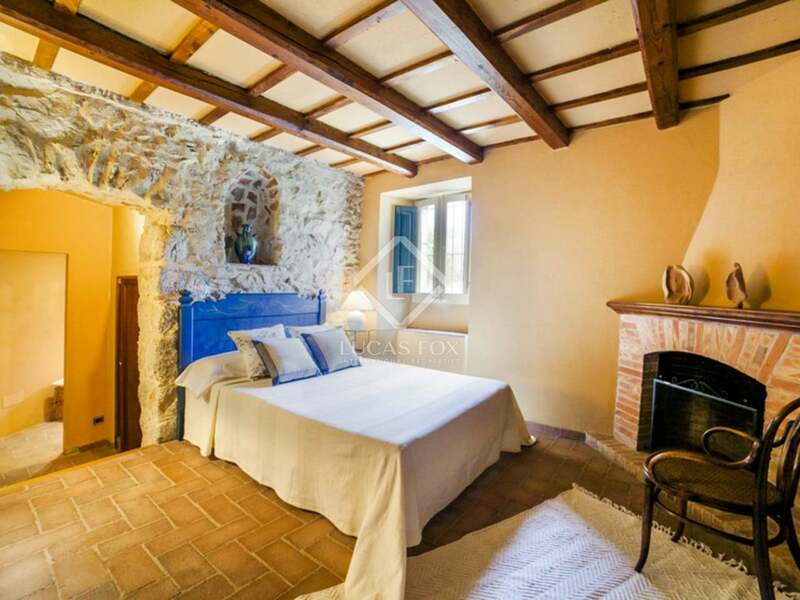 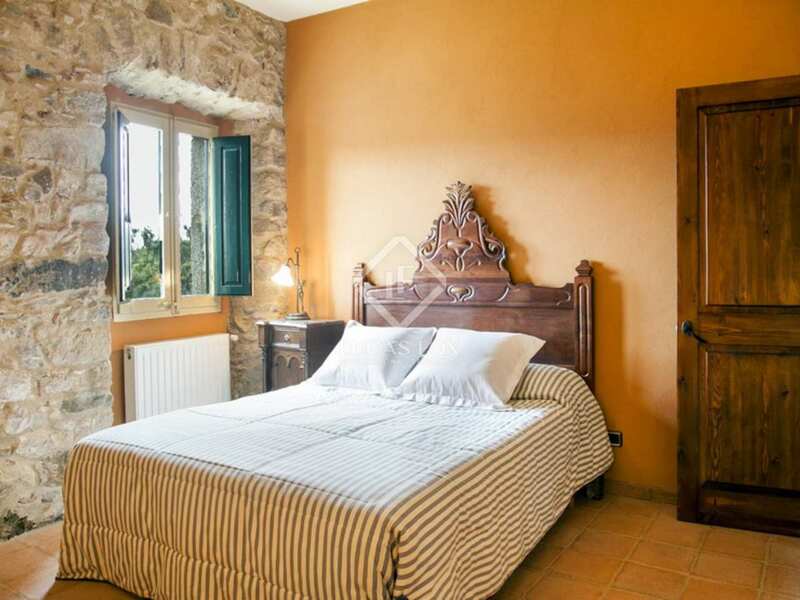 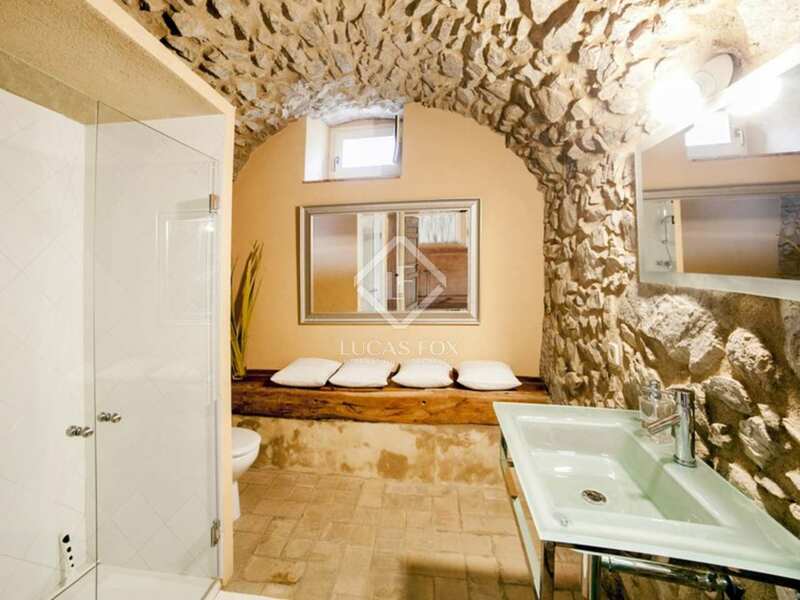 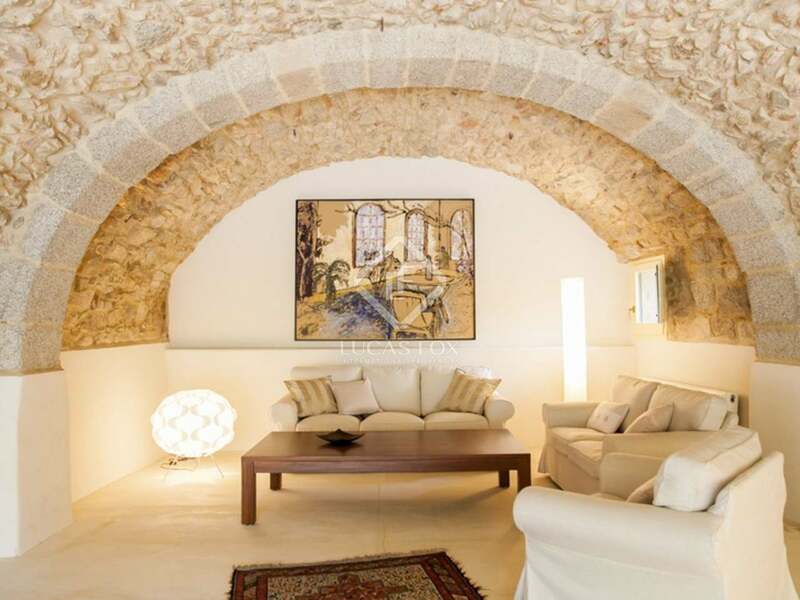 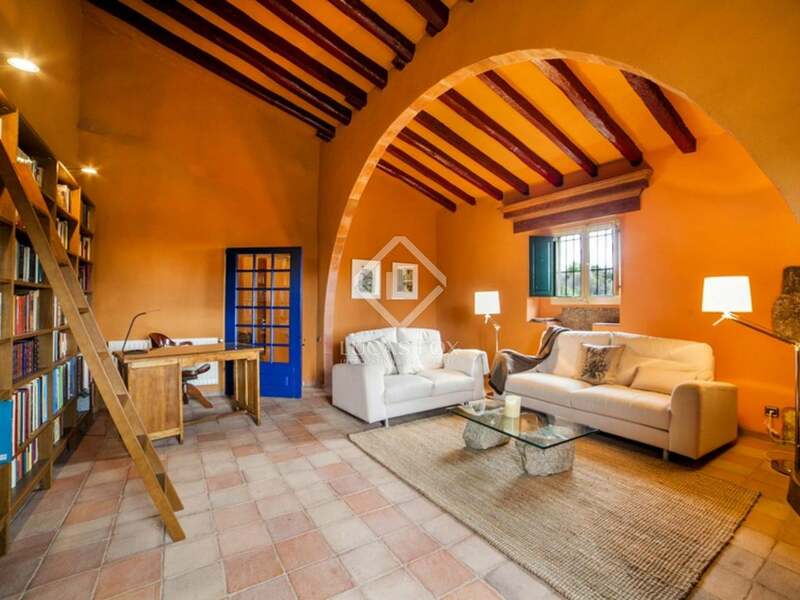 The masia has been renovated to a good standard, maintaining the rustic charm of the original building whilst offering all the comforts of modern living. 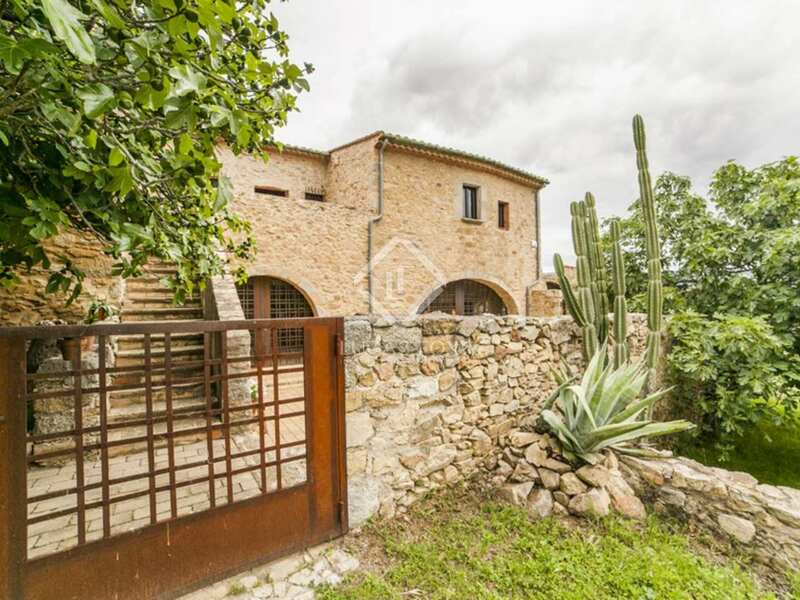 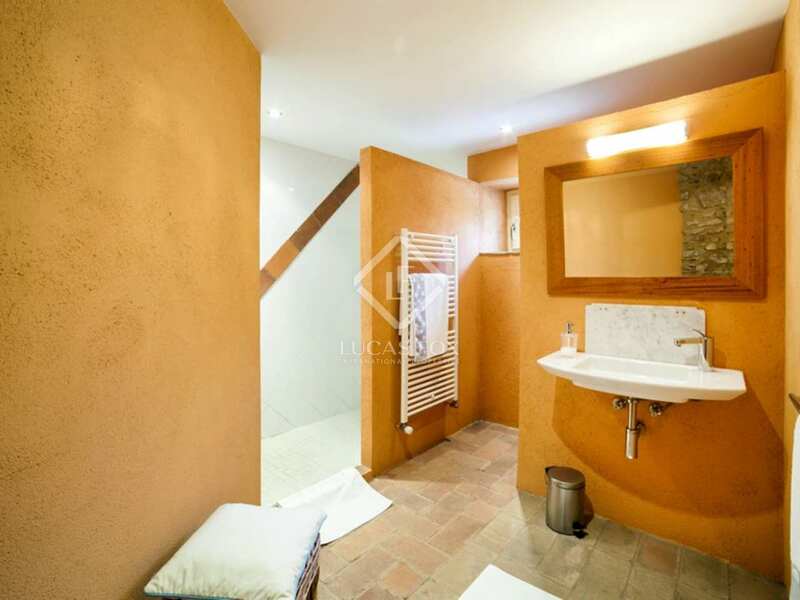 The property is supplied by mains electricity and the water is from a private well. 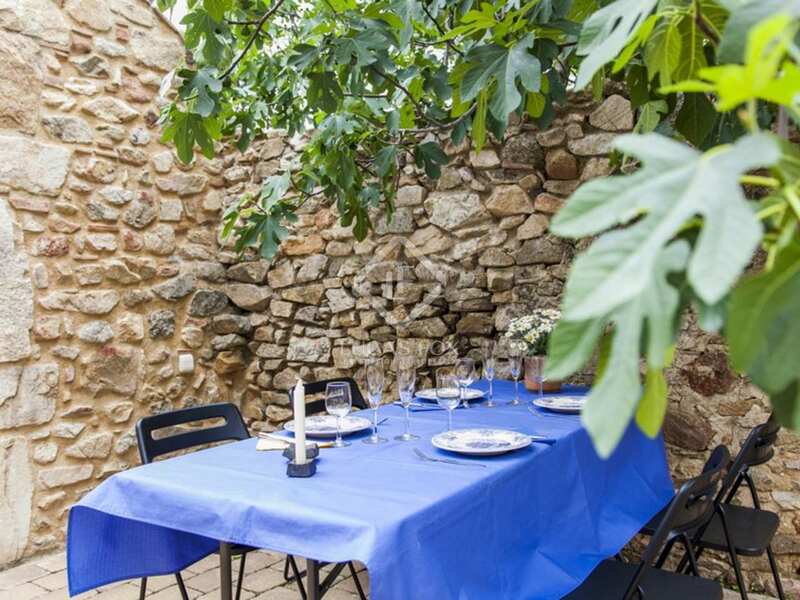 The masia is just a few kilometres from the nearest village of Agullana and only 35km from the nearest beaches of the Costa Brava. 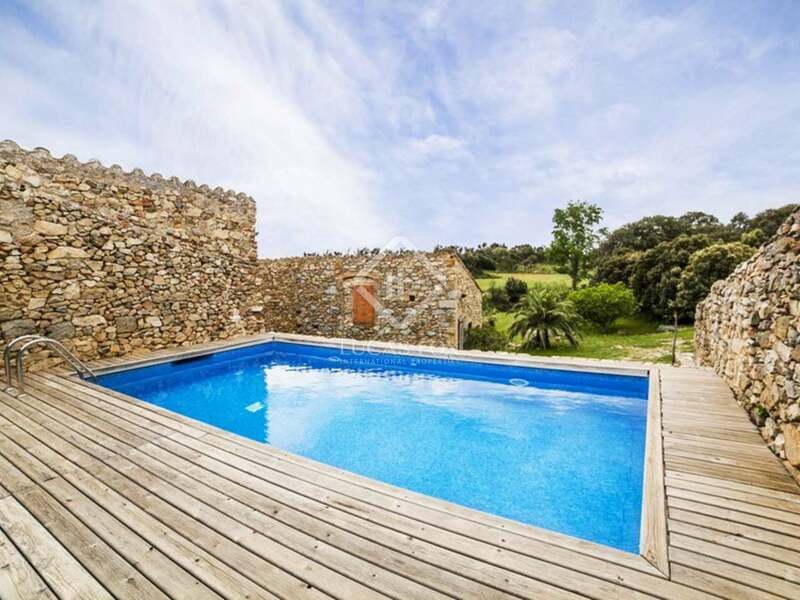 View more Emporda country property to buy. 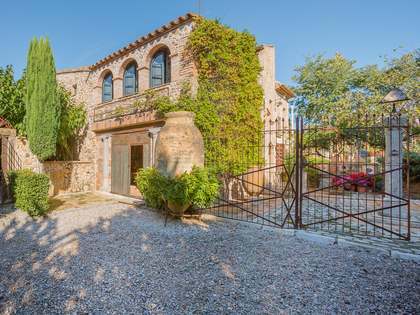 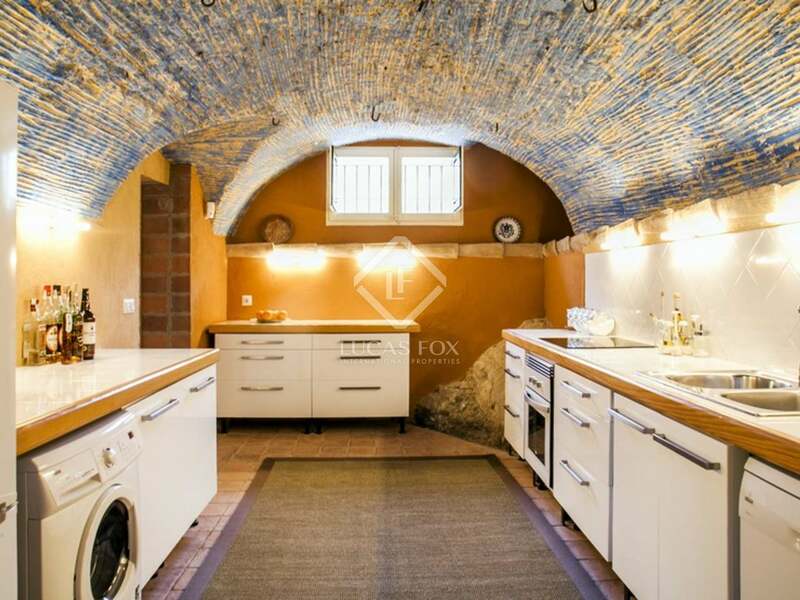 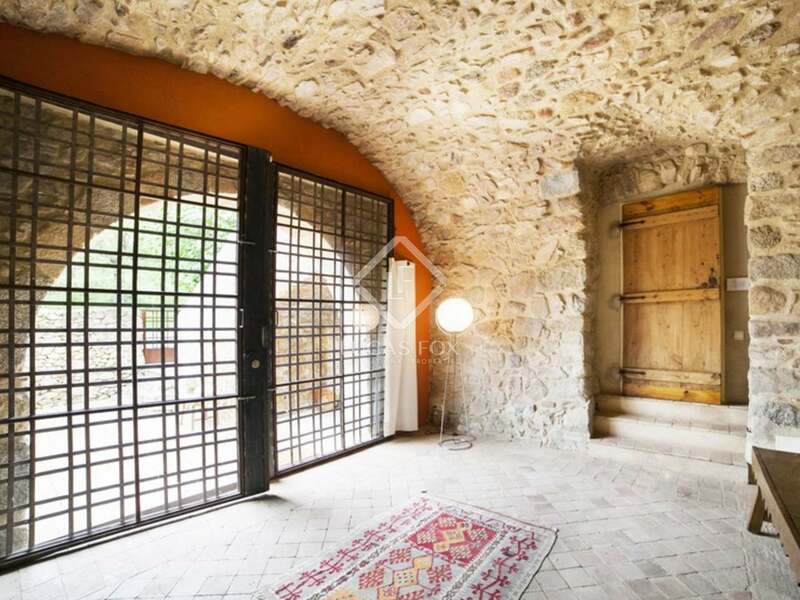 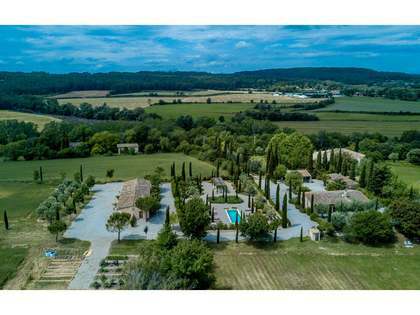 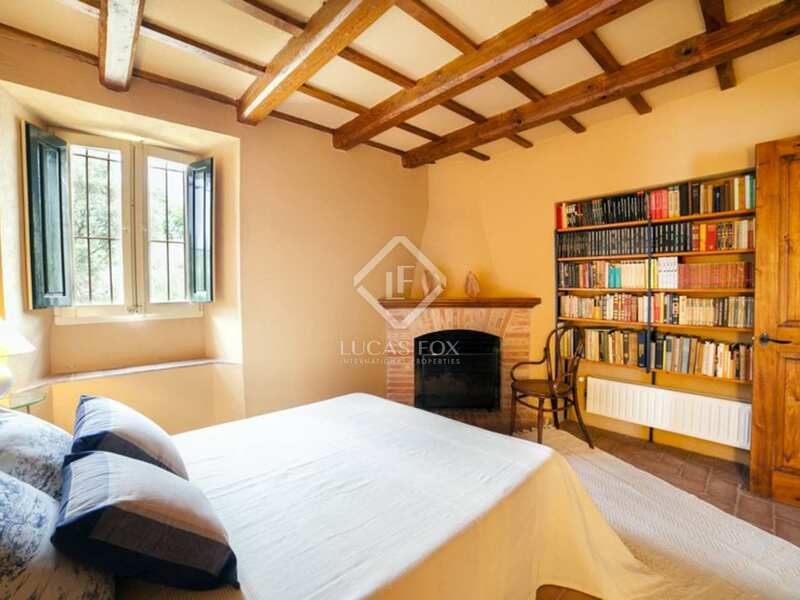 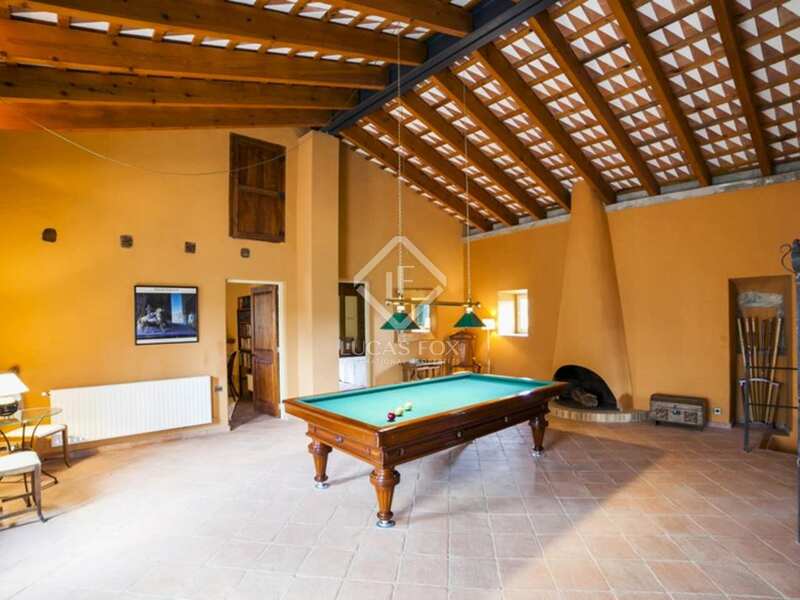 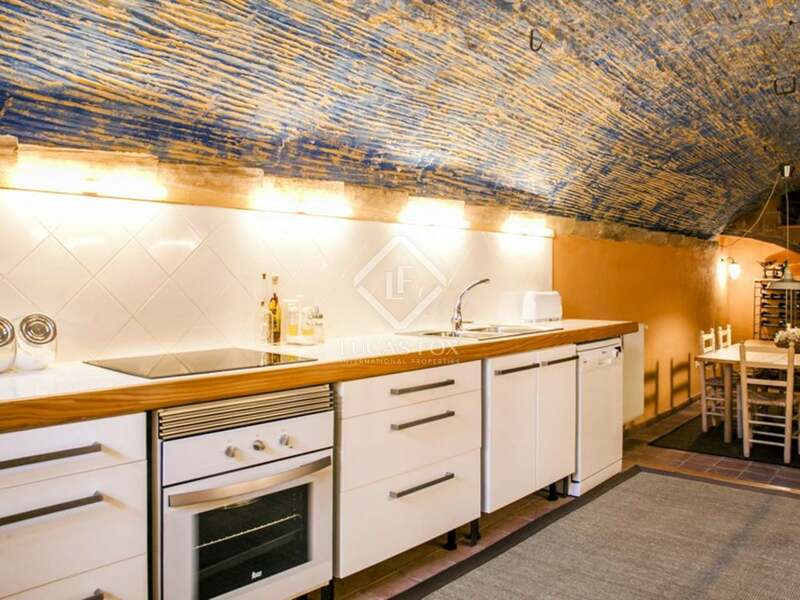 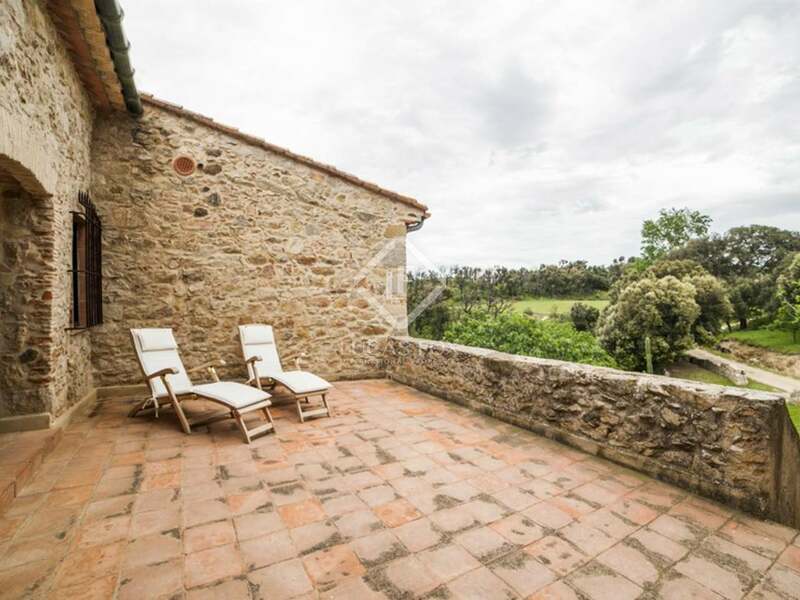 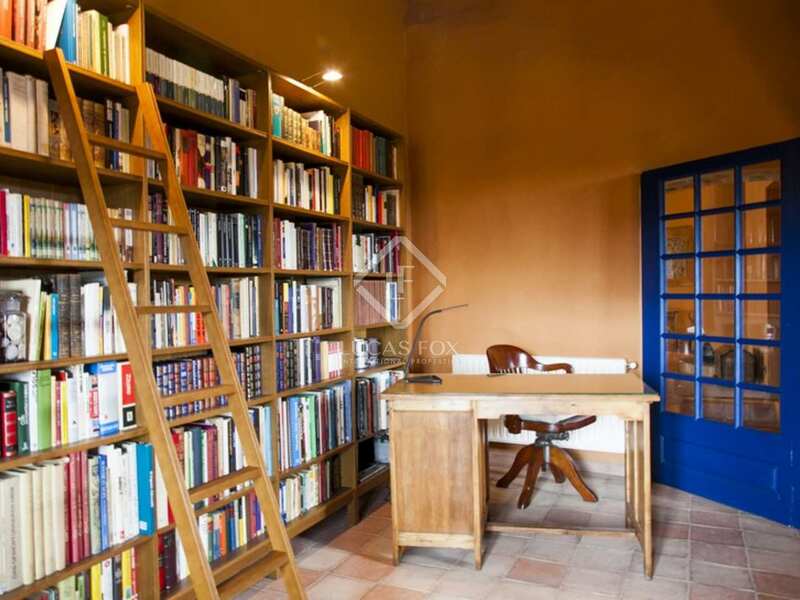 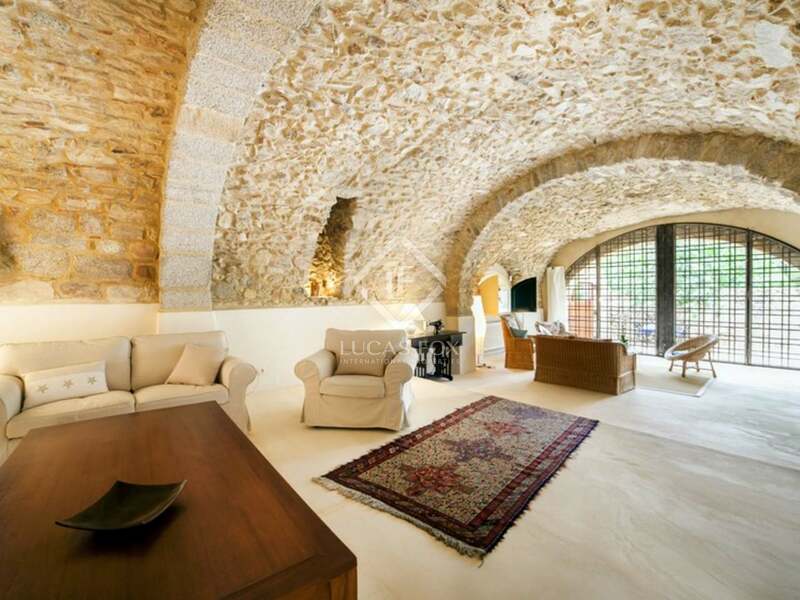 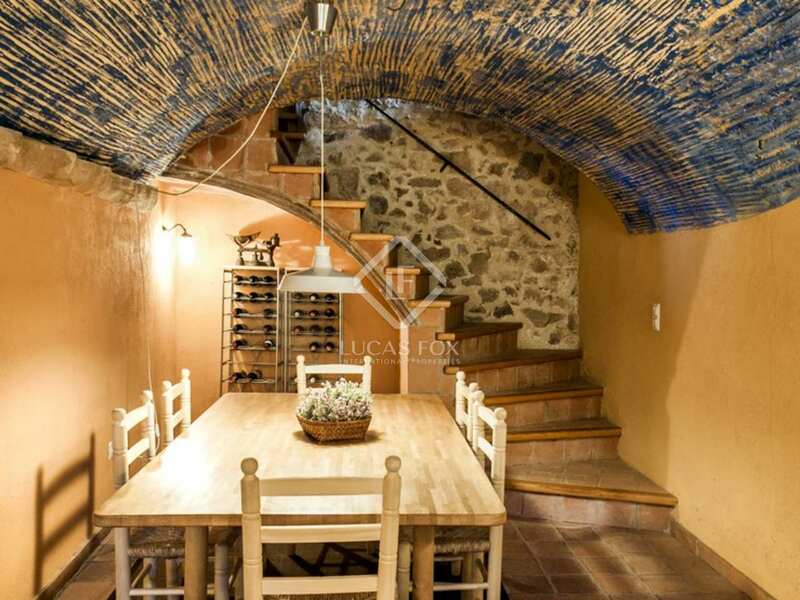 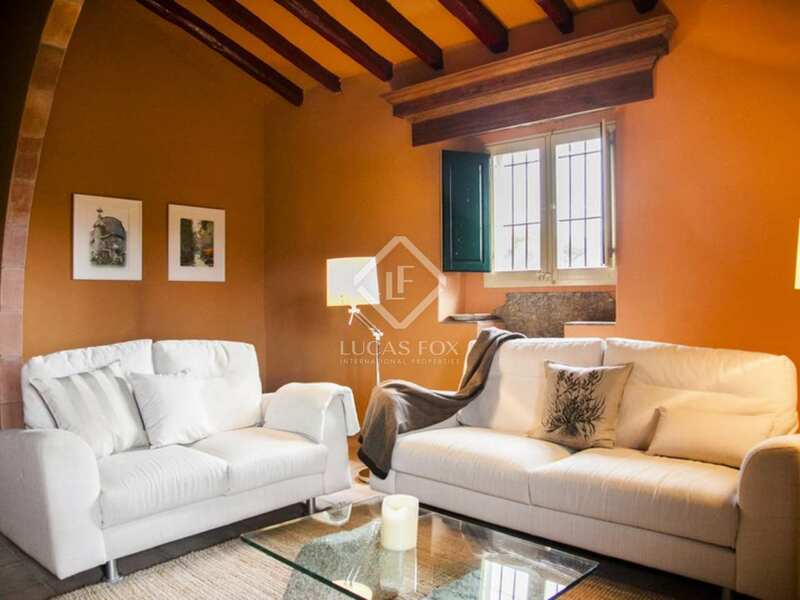 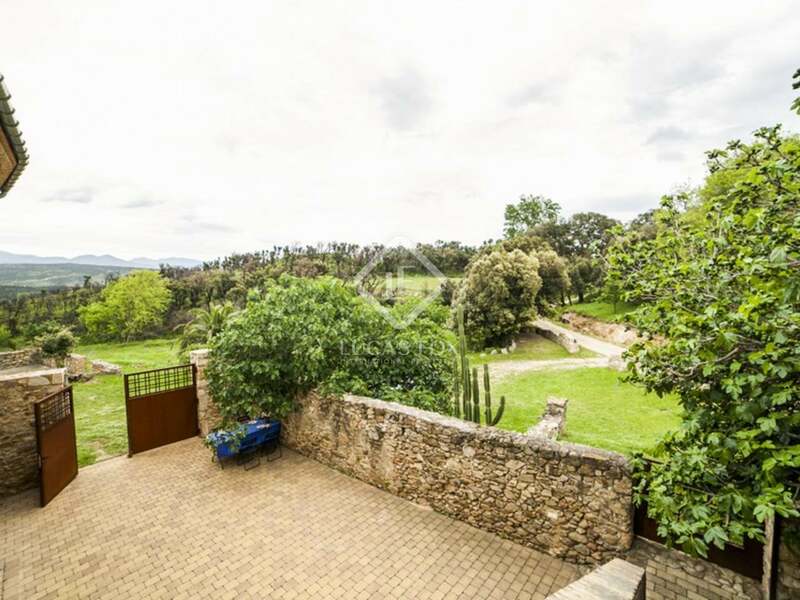 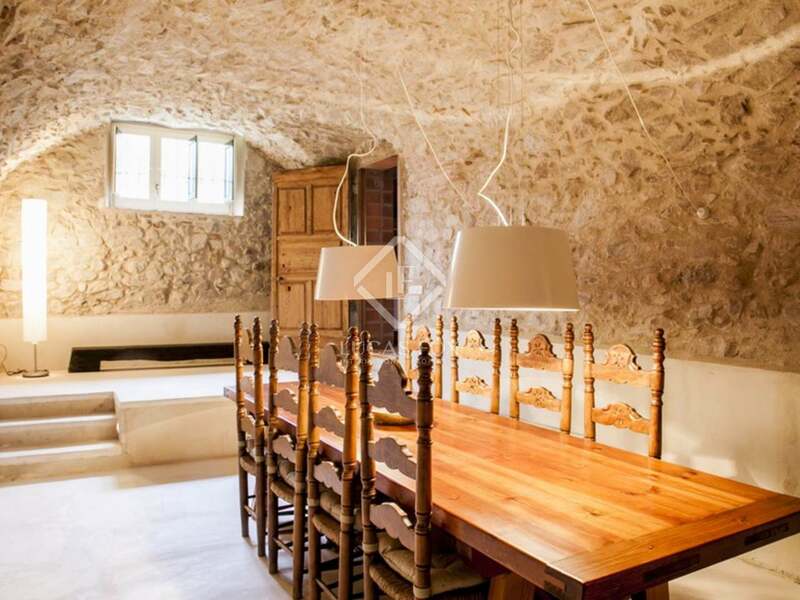 This beautiful Girona country house to buy is located in stunning countryside surroundings of the Alt Emporda, just 3 kilometres from the village of Agullana and only 15km from the town of Figueres with its famous Dalí museum and high speed rail link to Barcelona, Madrid and Paris. 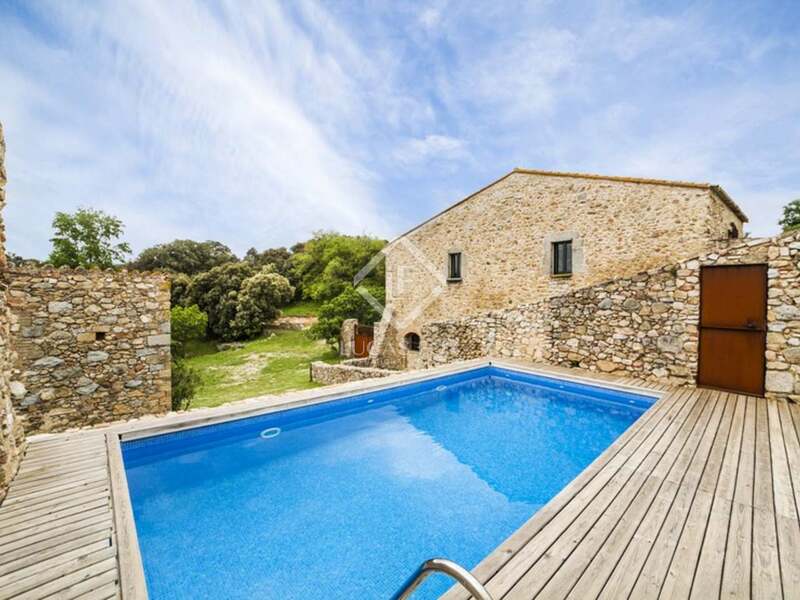 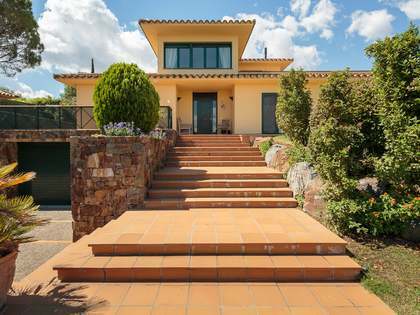 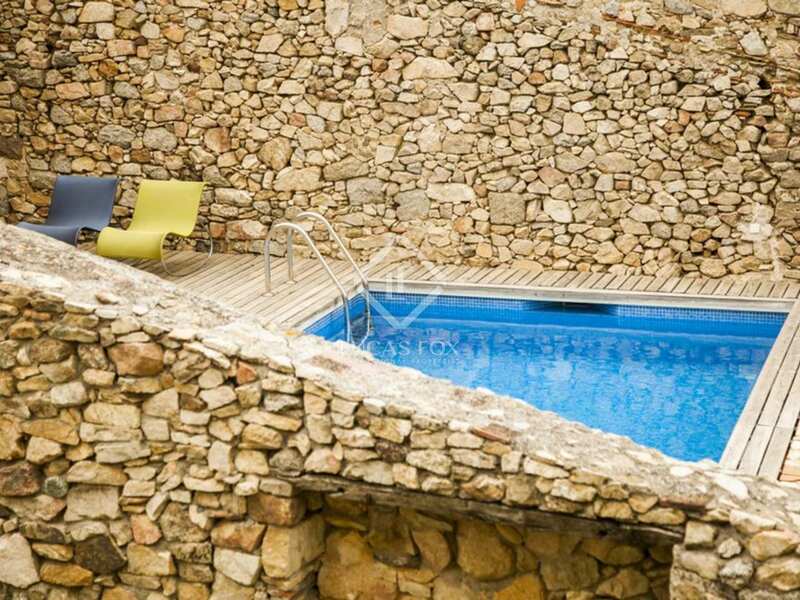 The house is only 14km from the French border, 35km from the nearest beaches of the Costa Brava (Bay of Roses), 65km from Girona city and its international airport and 135km from Barcelona.